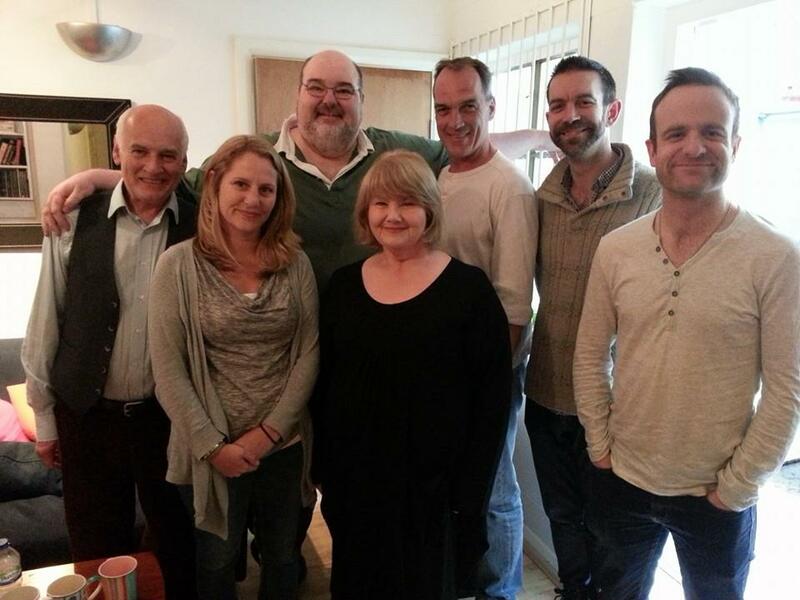 Mark returned to the Big Finish fold yesterday to record a number of episodes of a new series based on Paizo's successful Pathfinder roleplaying games. The first six-episode Pathfinder Legends series will be a new full-cast audiobook drama based on the highly popular Rise of the Runelords storyline, with Chapter One, Burnt Offerings, in release now and subsequent releases every two months hereafter. Single-CD releases will be priced at $15.99/£10.99, with digital downloads at $12.99/£8.99. BigFinish.com and paizo.com will offer subscriptions at a discounted rate. "A sudden assault on the town of Sandpoint by stone giants and a dragon brings the looming threat home. Ezren, Merisiel, Harsk and Valeros learn that attack was just a scouting party, that the stone giants are massing for war. The only way to disrupt their advance is to strike at the Jorgenfist, the fortress of Warlord Mokmurian, the sinister giant responsible for gathering his people for war." Last night, during Act I of a performance of "The Curious Incident of the Dog in the Night-Time" at the Apollo Theatre on Shaftesbury Avenue, the heavy plasterwork around the chandelier broke away from the ceiling, and fell into the auditorium injuring 76 people, 7 of them seriously. There's a quote I've used a couple of times in the past, for example after the Boston Marathon bombing, by a chap called Fred Rogers. Fred was the avuncular host of "Mr. Roger's Neighborhood", a children's show on PBS in the US which gave gentle lessons on kindness, helpfulness and friendship. Last night, amongst those helpers were my friends and my colleagues. As soon as news reached the surrounding theatres about what had happened, anybody who was First Aid trained, whether they were Front of House staff, crew, dressers or any other of the many departments that make a show happen, grabbed first aid supplies and headed out the door. Whilst the Apollo audience streamed out into the street, theatre staff were headed in the other direction, to a potentially unsafe building with the only thought of helping other people. There was no "That's not my building". No "I don't work for that company". No "I don't get paid enough for that". Wounds were treated, foil blankets distributed, and acting under the instructions of the emergency services, makeshift triage centres were set up in theatre foyers. One of the dressers helped a couple of girls and then gave them some money to get home. I started working in West End Theatre back in 1989, whilst still at college. A fellow student asked me a few months later what the attraction was, and I replied that the amazing thing about theatreland was that it turned such a massive city into a small village. A community where everyone either knew, or knew of each other. Where everyone knows everyone else's business. At times, that can be a pain in the arse, but in times of need everyone has each other's back, and help will always be given in moments of crisis. The Show Must Go On, as they say. Nowhere was this more evident than last night, and I've seldom been so proud to be part of this little village. Disclaimer: These are my personal thoughts and not those of any professional theatre company, theatre owner or production. No reproduction without written consent. Massive congratulations to Chris Key and his team of helpers for a fantastic day and a marvellous result! 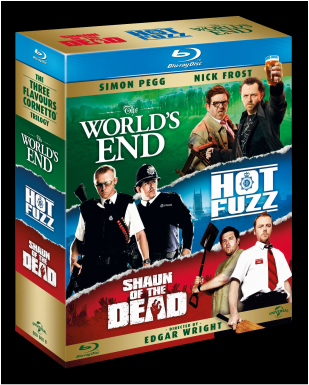 On the 22nd August theatres all over the U.S. will be screening "Shaun of the Dead", "Hot Fuzz" and "The World's End" back to back in one evening! How's that for a slice of fried gold? For a full list of venues, click on the image opposite. IN SUPPORT OF GREAT ORMOND ST. HOSPITAL. 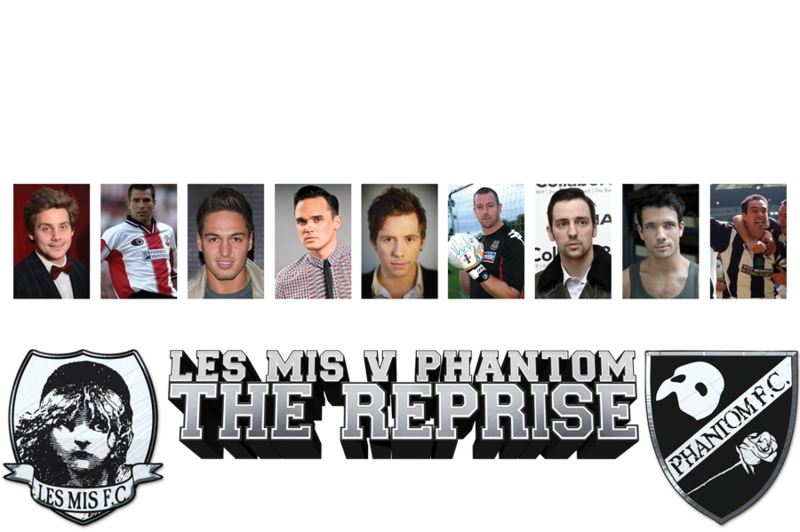 On Sunday 11th August 2013, at Bromley Football Club, the 2 West End giants, Les Miserables and The Phantom of the Opera will once again do battle on the football pitch. A mixture of cast, crew, celebs and ex pro footballers will don the red and black of Les Mis or the blue and white of Phantom to raise money for Great Ormond Street Hospital. The family fun day starts at 1pm, with kick off of the match at 3pm. There will be entertainement for old and young alike. We are playing in support of our head of wigs Melanie Oakley-Dow as she continues her brave fight with cancer, and of an ex cre member of Les mis, Alex Bremer, whose daughter Lizzy was recently being treated at Great Ormond Street Hospital. Alex met his wife Miriam at Les Mis when it was at the Palace Theatre. Alex was Deputy Master Carpenter and Miriram was a dresser. Sadly, during our preparation and fund raising for this event, their beautiful, bubbly & desperately loved 2-year-old daughter, Lizzy, has lost her fight with Neuroblastoma - a rare & aggressive cancer. During her brave fight, the whole Bremer family found the support & expertise they received from GOSH invaluable. Even if you can't make it down, please help us smash last years total! Two of the Doctor Who radio plays that Mark did for Big Finish, Dust Breeding and The Sandman, have been permanently reduced in price to £5.00 per CD and £2.99 for download. Mark can currently be seen in cinemas in "The World's End", with a brief cameo as a nod to his role in "Shaun of the Dead". See if you can spot him!